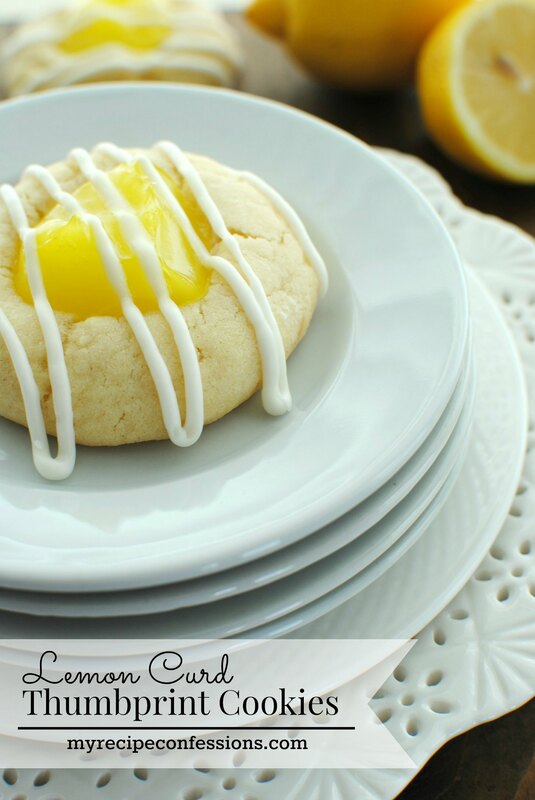 A soft and fluffy shortbread cookie with lemon curd and a creamy glaze drizzled on top. Need I say more? Heaven help me, these cookies are to die for! They are really quite simple to make and once they are out of the oven it is hard not to eat them all! I used lemon curd in this recipe, if you want a more subtle lemon flavor you can use lemon pie filling. Be sure not to overbake them or they will be dry. You want the bottom to be a light golden brown, but you don’t want the sides of the cookie to brown at all. Some ovens cook faster than others, so make sure to keep a close on eye your first batch so you don’t overcook them. In a medium-sized bowl, cream the butter and sugar. Mix in the egg and egg yolk. Add the vanilla extract and continue to cream until light and fluffy. Add the flour and salt and mix until the flour disappears. Roll dough into 1 inch balls and place on an ungreased cookie sheet. With your index finger or the back of a spoon, make a small indent in each cookie dough ball. Chill in the fridge for 30 minutes. Bake the cookies for 10 minutes.Remove from oven and gently make a new indentation with your finger if the other one has filled in. Place a 1/2 tsp. to 1 tsp. 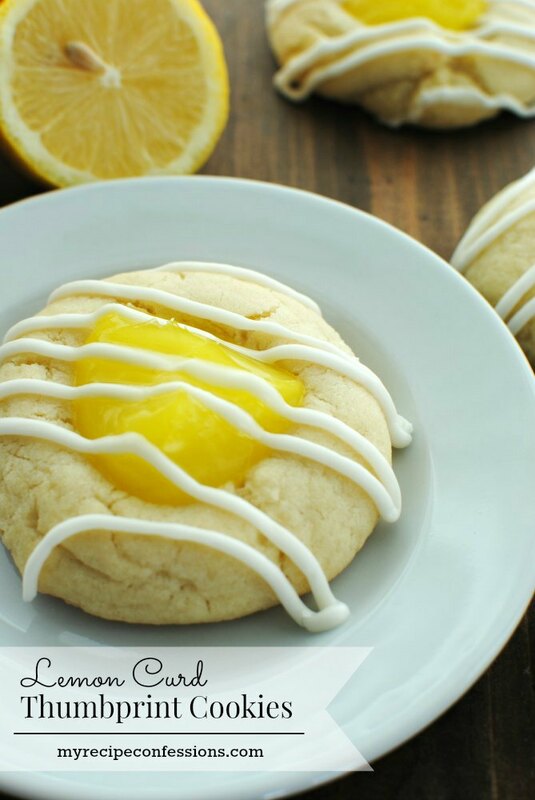 of lemon curd in the indentation of each cookie. Return the pan back to the oven and bake for another 6 to 8 minutes or until the bottom of the cookies is a light golden brown. You don’t want the edges to brown or they will be dry. Allow the cookies to cool completely. Pipe the glaze on the cooled cookies. In a bowl, mix all the ingredients together until they form a smooth glaze. Using a spoon, drizzle the glaze over the cookies. Here are a few other lemon recipes you might enjoy. Thank you for your emails and recipes. I LOVE them!!! Unfortunately, I couldn’t open up the recipe for lemon curd. I love anything with lemon flavoring. Can you send it to me? Thank you! I am so glad you are enjoying the recipes. I love the feedback, so thank you! 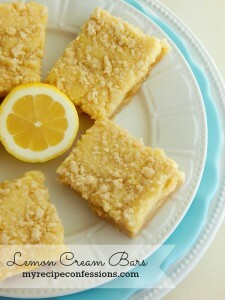 I do not have a recipe for lemon curd yet on the blog. Up to now I have just been buying it at the store. 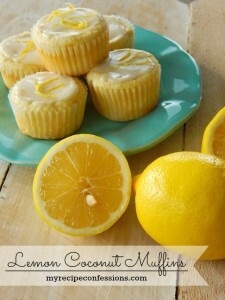 I am working on finding a good recipe for lemon curd and when I do I will share it with you. 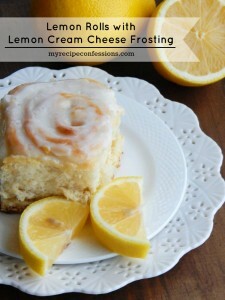 This message is for Carrie and its in reference to your Italian lemon pound cake. My name is Renaye and I was wondering what kind of oven were I using to set the oven temp to 300, Is it a gas or electric oven becz I tried to make this cake twice and the second time was almost perfect with exception of the inside of the cake. It was not completely soaked it was rubberie but the taste was awesome exspecially the glaze. Please tell me what I did wrong. I use an electric oven. A gas and electric oven should cook at the same. However, some ovens can cook higher or lower than they should. Try leaving the cake in 10 minutes longer. After the 10 minutes check the cake with a toothpick. If the toothpick comes out clean it’s done, if not leave it in for 5 minutes longer. Repeat until the toothpick comes out clean. I hope this helps!